The UCC28700 family of flyback power supply controllers provides Constant-Voltage (CV) and Constant-Current (CC) output regulation without the use of an optical coupler. The devices process information from the primary power switch and an auxiliary flyback winding for precise control of output voltage and current. Low start-up current, dynamically controlled operating states and a tailored modulation profile support very low standby power without sacrificing start-up time or output transient response. Control algorithms in the UCC28700 family allow operating efficiencies to meet or exceed applicable standards. The output drive interfaces to a MOSFET power switch. Discontinuous Conduction Mode (DCM) with valley switching reduces switching losses. Modulation of switching frequency and primary current peak amplitude (FM and AM) keeps the conversion efficiency high across the entire load and line ranges. The controllers have a maximum switching frequency of 130 kHz and always maintain control of the peak-primary current in the transformer. Protection features help keep primary and secondary component stresses in check. The UCC28700 allows the level of cable compensation to be programmed. 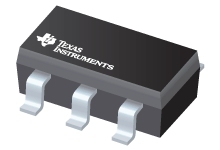 The UCC28701, UCC28702, and UCC28703 devices allow remote temperature sensing using a Negative Temperature Coefficient (NTC) resistor while providing fixed cable-compensation levels.